We are now accepting applications for the 2018-19 school year. Please fill out ALL required information - incomplete applications cannot be processed. Only one application per household is required. Applications may also be picked up at the Child Nutrition Department, 1502 S. Timberline Road. Students may be eligible for free or reduced lunches if they receive Supplemental Nutrition Assistance Program (SNAP) or if the household income is within the eligibility limits set by the government. Children who qualify for free or reduced meals are offered the same foods as children who pay full price. Once your application has been reviewed, you will be notified of the decision. Applications may take up to 10 days to be processed. Households are responsible for meal costs until the application has been processed. 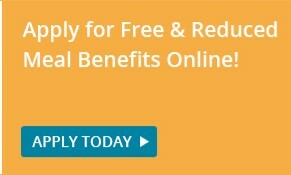 If you're denied benefits, you may appeal the decision. Instructions for the appeal process will be included with the eligibility determination letter. Note: You may be asked to verify information in the application, allowing the school district to confirm eligibility for the free and reduced meals. Families who qualify for Free and Reduced Meal Benefits are eligible for school fee/charge waivers. See the Student Fees and Charges web page for instructions on how to complete the Permission to Share Information for Fee/Charge Waivers form. Application information is confidential. Your child's eligibility status is also kept confidential when they pay for meals. With your consent, application information may be provided to other assistance programs, for which you would provide similar information, to make applying for these programs easier. Your eligibility status may be told without consent to federal and state education/health programs to help evaluate the benefit of programs.